This is a poster series that represents the artist's hometown - Brasilia, Brazil. 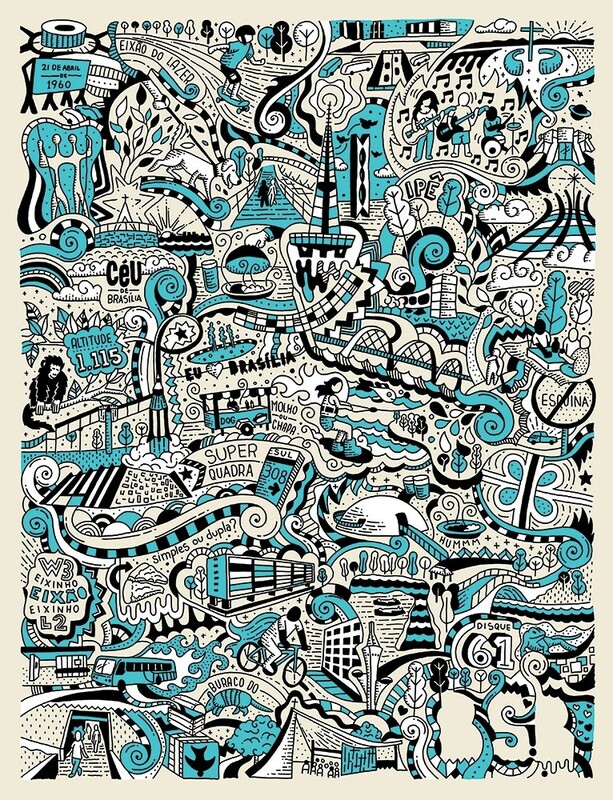 All the illustrations are about the city: landmarks, culture and icons. The illustration was handmade and then reproduced on silkscreen printing.